Brescia & Migliaccio, M.D., PC (Secaucus) - Book Appointment Online! 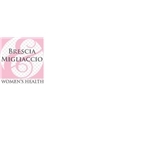 The practice that is now known as Brescia & Migliaccio began in 1992 when Dr. Mark Brescia and his wife, Dr. Patricia D’Alberti, opened an office in Hoboken, NJ to serve women’s obstetrical and gynecological needs. Dr. Thomas Migliaccio joined in 2002, and the practice has grown through the years as the doctors opened offices in Bayonne, Edgewater and North Bergen, all communities where women’s healthcare needs were underserved. To more fully serve the women of these areas, the practice has evolved beyond obstetrics & gynecology to include primary care for women medicine. Now patients of Brescia & Migliaccio can receive exceptional total healthcare from caring compassionate physicians and healthcare professionals they know and trust. I really like the experience with the Dr. Banzon. He is professional, kind and attentive. Will definitely go back. Very professional & nice- all staff. Love Dr. Kithinji!